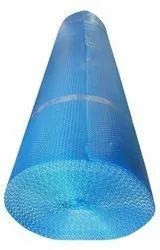 Providing you the best range of liner pool, membrane swimming pool, swimming pool consultant and swimming pool cover with effective & timely delivery. Well equipped with technologically advanced facilities, we are presenting an extensive array of Liner Pool. These pools are designed with precision by using vinyl sheet between the water and the pool structure. The offered pools are highly acclaimed by our patrons owing to its 100% leak-proof nature and easy installation. Our team of adroit professionals ensures stringent quality check of these pools on various parameters to meet the standards set by the industry. Moreover, customers can avail this product from us at affordable rates. Vinyl liners typically lock their top edge, called a bead, into a track located on the bottom of the coping, which is at deck level. Underneath the liner is a sand or cement-like floor, specified in dimension to the "cut" of the liner that is to be used. The floors come up to meet the walls, which are commonly 3 ft by 8 ft panels made of galvanized steel or thermoplastic. These walls are supported from behind so that they will not bow out against the weight of the water. All of the wall panels are secured together to make up the perimeter shape of the swimming pool. There are many advantages to installing a vinyl liner pool. Vinyl pools are very flexible and cannot crack like a concrete pool. You will never have to repaint or re-plaster a vinyl pool. A vinyl liner makes all surfaces of your pool smooth. Because of the flexibility with the steel walls, a vinyl pool offers unlimited design options, sizes and shapes for your backyard. A vinyl pool is also less expensive than a fiberglass pool or concrete pool. Vinyl liners are not limited in colors and patterns as they used to be. Over time, changing the liner will dramatically improve the visual effect of your pool. The cost of the liner will depend on its shape, size, thickness, and pattern choice. Well equipped with technologically advanced facilities, we are presenting an extensive array of Membrane Pool. These pools are designed with precision by using vinyl sheet between the water and the pool structure. The offered pools are highly acclaimed by our patrons owing to its 100% leak-proof nature and easy installation. Our team of adroit professionals ensures stringent quality check of these pools on various parameters to meet the standards set by the industry. Moreover, customers can avail this product from us at affordable rates. Vinyl Membrane typically lock their top edge, called a bead, into a track located on the bottom of the coping, which is at deck level. Underneath the Membrane is a sand or cement-like floor, specified in dimension to the "cut" of the liner that is to be used. The floors come up to meet the walls, which are commonly 3 ft by 8 ft panels made of thermoplastic. There are many advantages to installing a vinyl Membrane pool. You will never have to repaint or re-plaster a vinyl pool. A vinyl Membrane makes all surfaces of your pool smooth. Because of the flexibility with the polymer walls, a vinyl pool offers unlimited design options, sizes and shapes for your backyard. Vinyl Membrane are not limited in colors and patterns as they used to be. 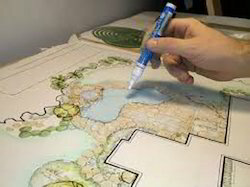 The cost of the membrane will depend on its shape, size, thickness, and pattern choice. We are also as a Commercial Consultant For Swimming Pools. These services are provided as per the latest norms and standards of the industry. Moreover, the offered services are rendered by our expert professionals as per the requirements of our clients. Our team members understand the needs of the customers and render the services accordingly. Additionally, we are engaged in providing consultation for installation and maintenance services different types of pools.